Do you know the book or movie “The name of the rose”? It is set in the Middle Ages. It is about an old library in which monks disappear one after the other. All that just to protect one single book! All just made up? Be careful, the seo-nerd has experienced something similar – but with a secret book about SEO consulting. 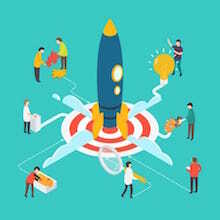 Bernstein‟s real mission was kept hidden during the – we can call it – long journey of the seo-nerd and only at the end the nerd was to learn what the true reason was for all the efforts and endeavors. Firstly, the seo-nerd only knew a little more than that he was a Hommes de Lettre, a book‟s man. Driven by his never-ending curiosity Bernstein early acquired skills, however, that enabled him to move swiftly and nimbly through the digital world. With his aptitude and his infallible instinct for the needs of the users, he made many websites popular in the internet. The seo- nerd was fascinated by Bernstein right from the beginning. Bernstein was a legend, in the art of search engine optimization as well as in SEO consulting. 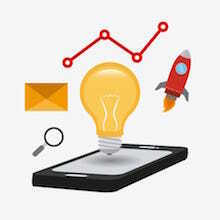 When other SEO followers managed to command applause from Google and the public using backlinks, Bernstein already achieved furious ranking results by concentrating on the boost power of Unique Content and OnPage SEO techniques. Like it is with many humans with such a reputation also Bernstein was of a rather shy nature. At the rare visits that he granted to the seo-nerd he always disguised his face in a cowl of a digital monk, a hoodie. No matter how much he admired him, he was not able to describe what Bernstein looked like. It was not the only secret surrounding the cowl wearer. Their mutual journey began at places are not to be described as the course of events that happened forbids this. We are speaking of virtual places on the internet, of course, Bernstein became aware of the seo-nerd from his extraordinary SEO success. As it is liked by many fatherly friends Bernstein recognized a son in the young, aspirant SEOptimizer, he never had. The master, together with his loyal assistant, kindled more than one neglected site to new life. 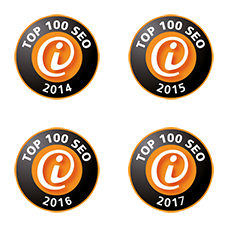 Sometimes they also joined together as a duo to present spectacular SEO consulting. But also in SEO everyday-life they jumped together if one was exhausted from one crazy SERP dance or if a Google update took up all SEO check power. Master Bernstein led them with expertise and wisdom. But also the young nerd pushed them to higher grounds of SEO consulting with his fresh ideas and never flagging energy; as long as to the one sad day when Bernstein suddenly vanished. Bernstein always pulled through his own affairs. It often happened that the seo-nerd didn‟t hear anything from awe-inspiring master for quite long periods of time. This time, however, many weeks went past without any life sign from Bernstein. 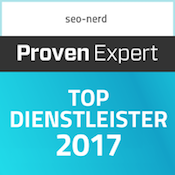 Only with the aid of his Berliner SEO agency team the nerd could find out that Bernstein was apparently working on the SEO consultig for Booklooker.de last, a market place praised by book fanciers for used books, films, music and games. Bernstein apparently promised the makers of the site to give an insight into his secret book of SEO consulting. He was a bit jealous, of course, that the honorable master never reported him about it himself and that he had to learn about it from others. Then the nerd, though, realised that this was the reason for the disappearing of Bernstein. Supposedly, someone found out about it. For Bernstein‟s secret book about SEO consulting some people would do quite a lot, probably, whatever does not comply with law and order. The seo-nerd thought it to be more than likeable that the powers of darkness had got the better of the master‟s life. But not much longer after the nerd‟s soul had descended to the deep, black lakes of mourning the story took a surprising turn anew. In his mailbox messages without a sender flew in, that taken on their own didn‟t make any sense. For some reason, the nerd couldn‟t explain, himself he didn‟t delete them. The messages cast a spell over him, it was a labyrinthine enigma. It was easy to lose oneself in it, and hard to solve it. But the seo-nerd had to think of his master with all of this, of his thorough belief that everything would match up if you give it enough time to develop. When the nerd finally figured it out he had to smile. It was Bernstein‟s messages, his legacy, drafts for his secret book of SEO consulting. Of course, the nerd knew what he had to do. 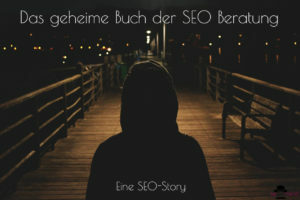 He put the pieces together and got the secret book of SEO on paper (and also PDF of course). It was an honor for him to finish Bernstein‟s last job. With the records out of the secret book of SEO consulting the nerd now taught the makers of Booklooker.de about all possibilities, such as Storytelling, Social Media marketing and OnPage SEO, to give their site a new boost on Google. The nerd never heard of Bernstein himself again. The master was still missing. 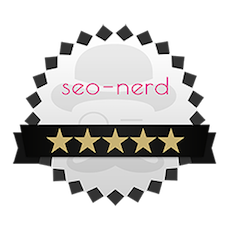 Whoever wants to receive insights into his secret book of SEO advice can always consult the nerd. So it’s written.